With our new software, you can measure your own lights, screens, and filters and output spectral data all in one app. Also, we think this new system is one of the most inexpensive options on the market. Data posted by us is shared using a Creative Commons Attribution license, so you can use it in your own projects. 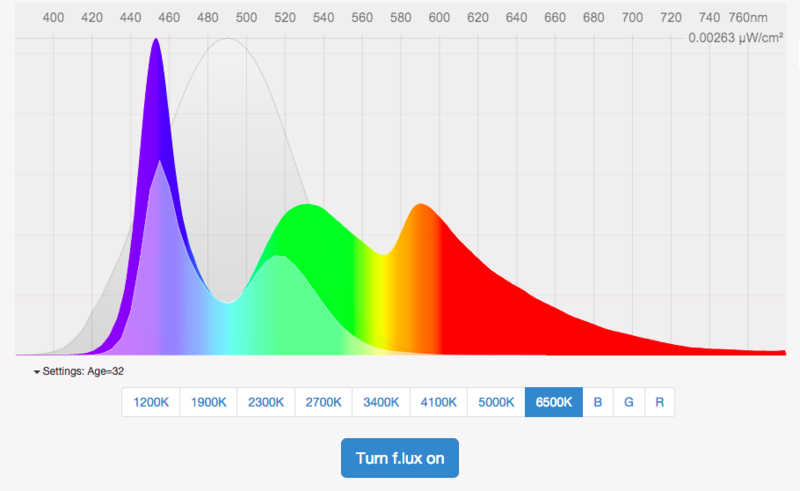 At f.lux, we are building new kinds of apps and services that can help people measure light in order to understand circadian timing. We want everyone to have good tools to explain how the buildings, devices, and lighting they spend time with can affect them. We hope that people who make decisions about spaces where people work, live, and sleep, and devices they use every day (and night) will get to know the new science of how light affects human biology, sleep, and performance. Our tools are geared toward helping people who think about these things improve their environments, making new kinds of lighting that can respond to the needs of people. There is a lot more coming, so please sign up if you’d like to hear about new releases and updates. To hear about what we're up to, sign up here: We'll never share your email with anyone else.